Q: I didn’t have a good junior year, is there any way I can get looks my senior year? Is junior year the most important year? A: Yes, recruiting can pick up or even begin your senior year. If you have little or no interest after your junior year you have a few options. The most important things to remember if you are in this situation are that you must be willing to do the footwork on your own (do the research, make up to hundreds of calls, get your film together, be organized/professional, prepare to get rejected) and remember that in order to get recruited coaches MUST see you play, either in person or on tape. Yes, your junior year is a key time to be making a name for yourself, a key time to get your play on film for coaches to evaluate and a key time to make sure you’re taking the right classes and finishing with the right grades in order to qualify academically. But, understand that your junior year is never the beginning or end of the process for you! Coaches are beginning their research during your freshman and sophomore years. They are getting regional scouting reports from trusted sources about potential players in the state, region and nation. They are noticing underclassmen while out on the road evaluating upperclassmen players they are currently recruiting. They are getting recommendations on up-and-coming players from their network of high school and club coaches in the state and region. They are building lists of potential recruits when you are in 9th and 10th grade, even before they are able to contact you legally. You can’t wait until your junior year to get focused if you are trying to play college sports! On the flip side, scholarship slots, commits and depth chart projections are fluid. The needs of coaches, position-by-position, change often. Most staffs are still finding new players to recruit, even seniors for the next signing class. You may be just hitting your growth spurt, developing physically, may have recently moved into the area, may have just gotten their film or participated in a tournament or game. I have worked with staffs who have offered seniors just hours or days before Signing Day, depending on what their other priority recruits do. Rosters (and commitment lists) are often fluid. Players graduate, can’t qualify academically, leave school early, quit, get injured. The first option would be to attend camps or combines—they can help put you on the map in terms of size and/or speed alone. Coaches are looking for three things—skill, size and speed. If you don’t have much good game film or stats to back up your junior season, you may be able to get on the radar with your size or speed. Attend mid-major or DII camps in the area, state or region. Talk to your prep coach about taking your team to a local university Team Camp. During down times, ask some of the coaches for advice about the recruiting process…. Step back and listen. By attending third-party combines, coaches get lists of results with measurements and contact information. If they think you’re a fit as a potential recruit, they have your information and may contact you. Secondly, start local. Try to send your film and a copy of your Student-Athlete Resume to the schools in your area. At each school, try to make contact with the coach who is responsible for scouting your school. Send them your film via email. Don’t start off by calling teams in the Top 25, start by calling every school within 100 – 400 miles. Get the direct contact info (office # and email address) for each coach who recruits your town at each school you contact. Follow-up a week after you’ve sent it! Lastly, ask your coach for advice. Often, a high school coach can get a return phone call from college coaches quicker than a prospect. Ask your coach their opinion on what schools may be a fit for you. Ask them if they would be able to make a call for you. Get your film together and your Student-Athlete Resume, and see if your prep coach has any leads. Don’t worry, everybody develops physically and athletically at different rates. 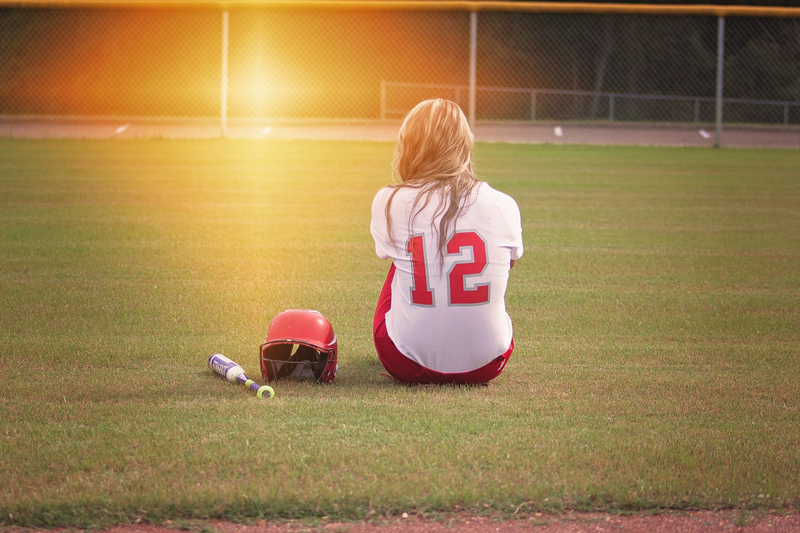 You will be a different player as a 16 or 17-year old than you are as a 14 or 15-year old. You have four years to grow and improve—to get bigger, more skilled, stronger and faster. 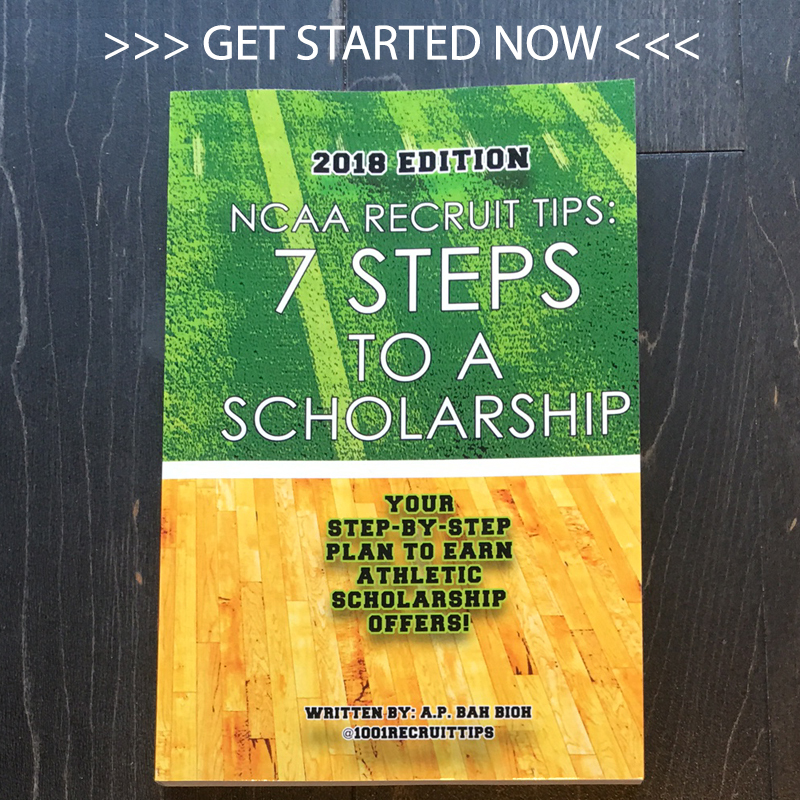 Sure, if you can see significant minutes or start on varsity as a sophomore or freshman, that may help you with the recruiting process but if you don’t, that can’t prevent you from eventually earning scholarship offers. It’s not about who gets there the fastest with offers as a freshman or sophomore, it’s about getting yourself there PERIOD. Q: You talk about scouts in my area, how do I get them to notice me or how do I get my info to them? Q: Is it possible to get recruited if I’m not a starter?